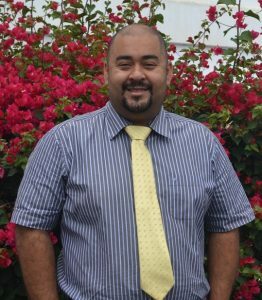 St Helena Government is pleased to announce today that Dax Richards (photo attached), SHG’s current Assistant Financial Secretary, has been appointed to succeed Colin Owen as Financial Secretary next month, when Colin leaves to take up a post in Montserrat. Dax will become SHG’s Financial Secretary from Monday 11 July 2016. “It’s a great honour to be appointed to the role of Financial Secretary, advising both the Governor and our politicians. I look forward to working with all parties in developing the Island for the people of St Helena. “I have been privileged to work with Dax for almost four years. It has been great to see him develop as a professional and show a great work ethic in his roles. His previous commitment to his professional studies has led the way to this success. SHG continues to be committed to succession planning – ensuring that talented Saints are identified, developed and readied for senior roles. SHG aims by 2021 to replace 34 of the current 89 ‘TC’ posts with local appointees, and has phased out nine such posts during the current financial year. Succession plans thus range from between six months to four years, and include distance learning, off-island training and work experience placements.